What are our guests are saying about their stay at Door County’s Birchwood Lodge in Sister Bay? Just look below and learn for yourself. My family has been coming up to Door County for 20+ years and this is the second year my boyfriend and I have come up and stayed at Birchwood Lodge . We love this resort and the special touches you have added. We find our daily lives hectic but coming up here is calming and peaceful; a nice break from every day stress. Our first time staying as the Birchwood Lodge and we love it. Outdoor pool was great and the convenience of being able to walk to all the shops and restaurants was an added bonus ! We will stay here again and we will recommend it to our friends and family. We just can’t get over how nice and quaint this place is. We had a very enjoyable and relaxing visit here in Door County. It is truly beautiful here. We look forward to visiting again. We had a wonderful, romantic weekend during the Fall Festival. We really enjoyed our room and the staff are so nice. The weather was great. To Everyone at Birchwood Lodge, thank you for a wonderful weekend. We really enjoyed the Wine & Dine package. Door Peninsula Winery and Alexander’s Restaurant were both amazing, and I have to thank you for the recommendations. I intend to tell everyone I know, and we will definitely be back! This room speaks for itself! It goes without saying that most people don’t get to enjoy this kind of luxury on their trips to Door County, but we feel very fortunate to have picked this place! The shower was so incredible we are considering adding one just like it to our home! The area was also very nice. We are a group of friends who came to spend the Memorial Day weekend. We had very little idea of how the room would be. But we had a wonderful experience here and it was a pleasure. All the facilities are very good and the service is very good too. We will always remember this holiday and will come in here in future with more people. We would definitely recommend this place to others. We had a great visit here at the Birchwood Lodge. The suites are just beautiful. First class all the way! Thank you so much for an awesome stay and birthday party. We had a fantastic time swimming and enjoying the other amenities! We will definitely recommend your facility to others and stay again ourselves. 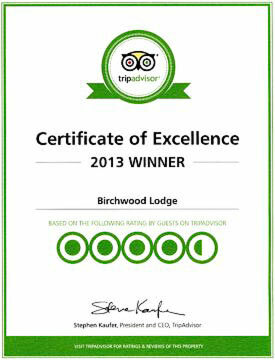 Have you been our guest at Birchwood Lodge previously? We welcome you to share your own experience with potential guests and our staff by clicking the button below or on the “Write Review” button in the sidebar. We’d love to hear from you and can’t wait to see you again soon!